International trailer for Parental Guidance. 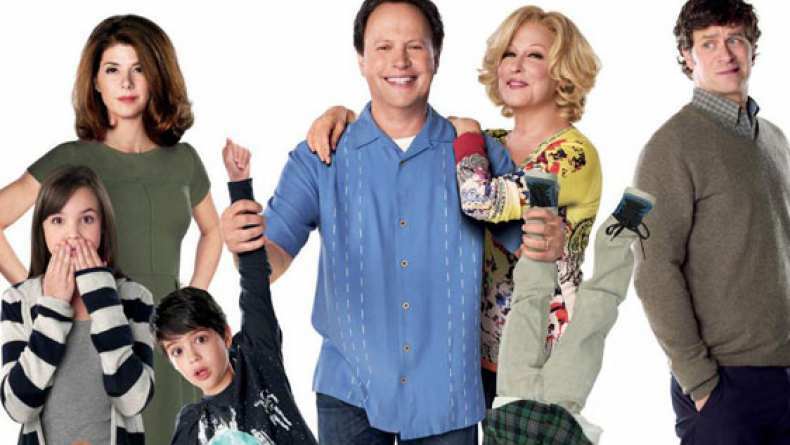 Old school grandfather Artie (Billy Crystal), who is accustomed to calling the shots, meets his match when he and his eager-to-please wife Diane (Bette Midler) agree to babysit their three grandkids when their type-A helicopter parents (Marisa Tomei, Tom Everett Scott) go away for work. But when 21st century problems collide with Artie and Diane's old school methods of tough rules, lots of love and old-fashioned games, it's learning to bend - and not holding your ground - that binds a family together.